Remote Viewing - Hungary: Describe the future? Yes! Did we predict the future? No. Did we describe the future? Yes! 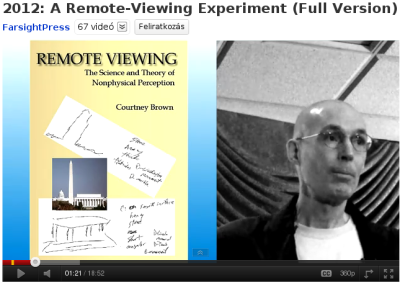 2012: A Remote Viewing Experiment. A video from The Farsight Institute. Click on the image to watch the video (length 18:52).